A smile, a natural human instinct. reflecting on how we feel inside. 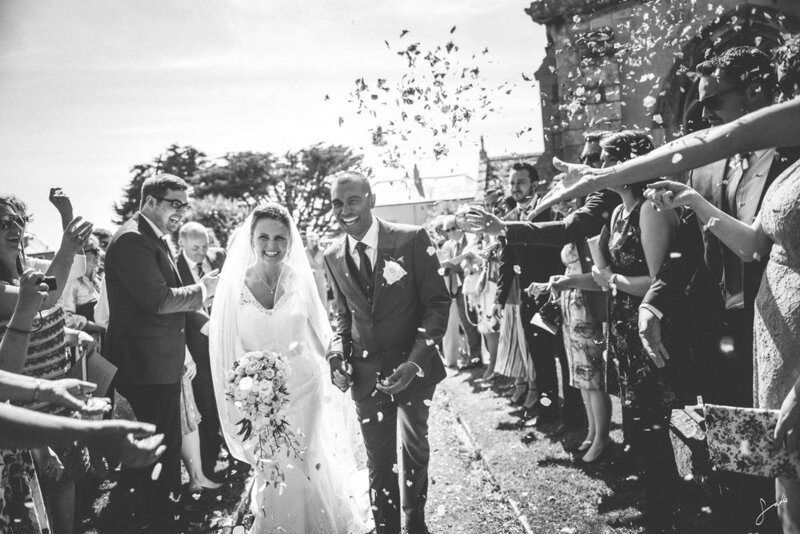 Being a wedding photographer i have become a master of collecting smiles. the most simple form of the expression of happiness. Whatever you are going through in life, never forget this simple technique. even for a second, just smile. The art of happiness is one of the most wonderful things, happiness is the key to most things. everyone should be happy, happy is contagious, addictive and heart warming. Remember you are living, you are here, you are real. Be grateful for your beautiful life and everything that is in it. For all those women out there, Those women that decided to trust me as a women, trust my vision, my heart and my passion. This day I give thanks and love to all of the brides that I have got to know over the years, the brides that have become my friends, the brides that have made a difference in my life. Each individual one of you inspire me more than you will ever know. Im telling you you are going to own this week. This week is going to be 7 days of awesomeness. I never really understood why people hate Mondays so much, why is it that people hate the fresh new day of the week, surely we love the fresh and new! like when you open a new air freshener, or a new duvet cover, or a new book! these things fill us with delight! Don't worry that you have had two days off and now your back in the office, its now your time to get in there and make this new week yours!! Its Fresh, Its New and its totally YOU! Take my hand, let us walk together into this unknown. Into the light, these three hearts will conquer all. I had the pleasure of doing a maternity shoot for Jenny & Ed the other week, We decided to use the New forest as it is full of life! What can i say, Jenny & Ed are completely wonderful, we had such a fun time on this shoot, They understood me when i talked about light... which was A LOT! they trusted in my vision and they embraced the experience to the fullest. I have started to really really enjoy maternity shoots, I have done a few this year and i think they are wonderful, purely because of the fact we are capturing a part of life that is so natural, it is one of the most natural things that humans have left that hasn't turned digital! The strength of a woman and the dedication of a man, but together as one whole. This is what i see in every shoot i do, i love it. Choosing a location is so important to a maternity shoot, it really needs to reflect how you feel about your pregnancy, how you feel as a person, your link to the natural world. For Jenny and Ed, it was a location surrounded by trees, We loved the link between the ever-growing nature and the development of a human baby. Both ever so natural and in the same context. It worked perfectly. and we chose a time that the light was just perfection. Most of the trees around us would have been over 100 years old, they would have seen many individuals walk past them through the years, I'm glad that they got to witness this part of Jenny and Ed's Journey. For now, keep it nature. After having a super busy week I decided to give myself some time to sit and just think. I cannot express how important it is as a photographer not to get lost, I tell so many photographers to never forget their roots, its so easy in Buisness to lose yourself. This is the same for ANY Buisness. You are You, there is a reason that you are doing what you do, you must never forget the journey you are on, and what elements of the beginning shaped who you are today. So pretty please, I ask you just to take 10 minutes of your day, you can have tea, a pen, a biscuit, a phone, a baby in your hand or you can have even have anothers hand in yours. Just take the time to think of all the things that shaped you, there will be good and bad, but they are ALL important. Then simply thank yourself, for there is no one is the world who has had your journey, no one has felt the power within you, no one has made the decisions you made. No one has been, or ever will be you. So I have shared a slice of my beginning which made me who I am today, it was a vital part of the development of my own vision and the way I now approach the art of photography. When I was studying A level photography I used to sit in the Weymouth College library and look at photography books for hours. Then came my first love of a photographer, James Nachtwey his images made something move in me that I couldn't explain, they made me feel emotion even though I had no connection with the subjects in the photographs, his lighting and composition drew me in to wanting to feel everything about the moment. This was one of the first times I witnessed the true power of photojournalism. Like an Ice berg, the power to document not just moments that have happened, but the sheer depth of emotion that lies beneath. When you are a photographer, you become sensitive to certain things. It may be light, texture, people and places, but one of the fascinating experiences is when you can see another person's potential vision. Photography isn't about who is the better photographer, who has the most business or best vision. Photography is a language which is always unique to that person. As photographers, we should always help each other to develop and nurture that vision. I had the wonderful experience of finding a freshly born vision. I was doing a family photo shoot and the young girl was very interested in the work i was doing, in seeing her interest i let her shoot some pictures on my camera. No technical stuff just to shoot what she felt and saw. upon editing the photographs i noticed a beginning of a vision, The images caught my attention, they had me reading deeper within them. I decided i wanted to acknowledge this vision and to help nurture it. 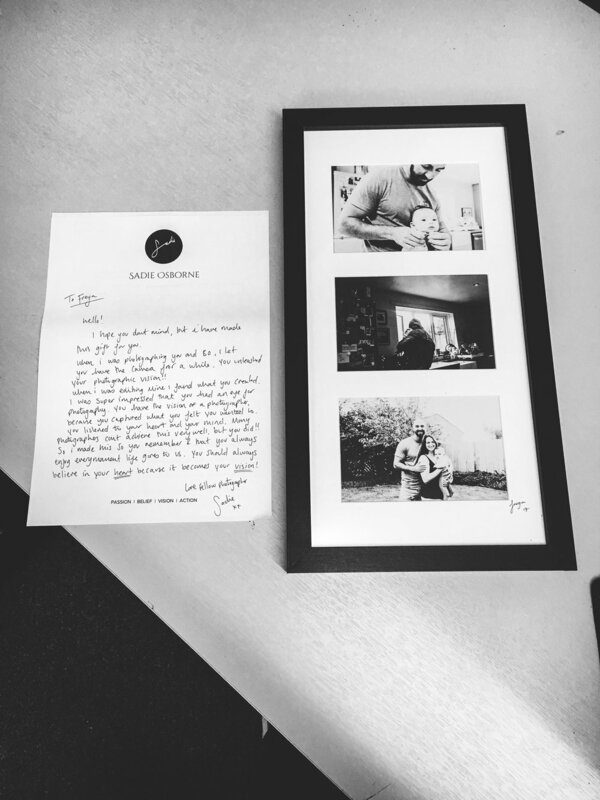 I decided to basic edit the photographs and then print and frame them for her as a gift. I wanted Freya to realize the potential she will have, the potential for capturing life, the beautiful gift of feeling a moment, then believing in your heart and mind that you can capture it. From one photographer to another. When life was black and white. Recently i have been reminiscing about the days where i used to spend my days in a dark room with only a hint of red light and a constantly smell of photographic developer solution. It reminded me of how we look at life, when we look at life in colour there is so much that we are distracted by, sometimes in a good way, sometimes not. its dependable on the person. As the photographer i am, what really draws me with black and white, is the way we look at the light in the photograph. When you don't have the distraction of colour, you end up looking for the light. This to me is the core of photography. the way the light can change your mind. Don't forget the light. Without it there would just be darkness. The end of last year brought me to the other side of the world. Far from England, my creative eye was opened to the concrete jungle of opportunity. 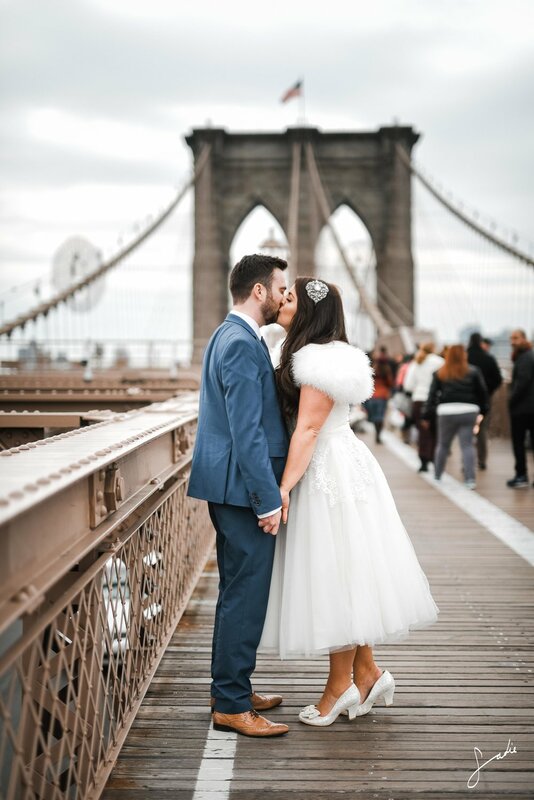 I was given the chance to use my skill and photograph a wedding in the City of New York. Ever grateful to these two wonderful human beings. Memories that I shall hold deep in my heart and will always ignite my soul. When you photograph somewhere alien to you, it fills you with such apprehension, but at the same time a sense of excitement. The fear of the unknown develops into the uriosity of the unknown. You worries become your wonder and you end up living the dream that you thought would never happen to you. Just always believe it will. I have had alot of emails regarding location photoshoots for birthdays! Soooo i have created an awesome hand made GIFT VOUCHER! combined with my own drawings / photographs / typewritten words i have managed to make a wonderful voucher that you can give to your loved ones! Hit me an email to get yours! Oh Em Geeee a BLOG! Are you crazy! a Blog! Say whaaat! Yes i have managed to dive right into having a blog on my website! even though you can catch all my crazy gettin up toos on my facebook page! you will also be able to see them here! - Great Car boot finds!